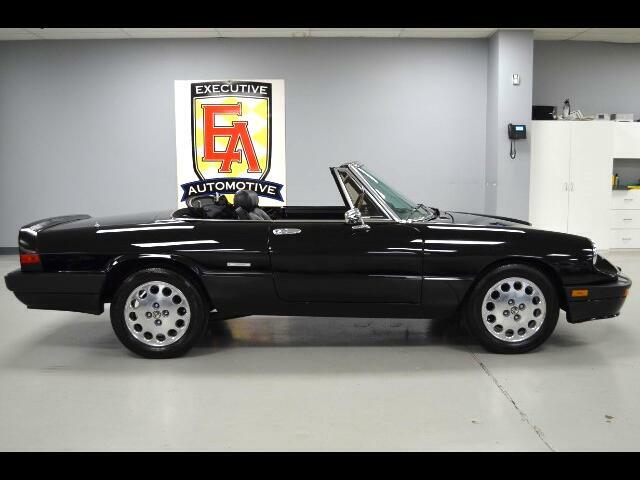 1989 Alfa Romeo Spider Quadrifoglio, Black with Black Leather, Options Include: Soft top Convertible, 5 Speed Manual, 15" Alloys, Rear Spoiler, CD Player, Power Windows and more! This car has been completely restored from the ground up including a complete engine and transmission rebuild in 2016. Contact Kyle Porter at 816-616-2500 or email: kyle@executiveautomotive.com for additional information. Thanks for your interest in our Alfa Romeo! Message: Thought you might be interested in this 1989 Alfa Romeo Spider.